The Boston Celtics have been slow starters in the first two games of their Eastern Conference playoff series against the Washington Wizards, but they have managed to come back and get the best of the Wizards in both games, covering the point spread in each of them. Now they get to go up 3-0 as these teams shift to the nation’s capital for an 8 PM ET start at the Verizon Center. BetAnySports customers will have the opportunity to place wagers even after the game gets underway, as they take advantage of what is available through Live Betting Ultra. You might ask yourself how Washington could be up by 14 points at the end of the first quarter in Game 1 and then 13 after one stanza in Game 2 and lose by double digits in each of them. Well, if they were a better defensive team, they might be able to prevent such a thing. But after their 42-29 advantage, they gave up 35 second-quarter points to the Celtics. In Game 1, Boston scored 71 points between the second and third quarters. With their smaller lineup, the Celtics are putting Washington in a lot of trouble with the pick-and-roll, and John Wall, who was supposed to be an outstanding defender, is having a hard time fighting through the screens. He and backcourt mate Bradley Beal also had a tough time shooting from long-range, going just 4-19 beyond the three-point arc. These are the kinds of things that have to correct themselves if Washington is to have a chance in this series. Boston has now won and covered its last six games, but they lost both regular-season meetings at the Verizon Center, by a total of 40 points. Isaiah Thomas had 24 points going into the fourth quarter of Game 2, but then he REALLY took things over. Thomas, who was the best fourth-quarter scorer in the NBA this season, had 29 points after the start of the fourth quarter here, and of course it went into overtime. He wound up with a total of 53 points, and he had to fight through more adversity, as it was his little sisters birthday (the one who died in a car accident). And he also had come from a trip to the dentist, where he had a tooth replaced. All of that couldn’t have been easy. But Thomas made it LOOK easy against a Washington team that just doesn’t seem hell-bent on stopping people. That’s the thing when we talk about the Wizards – there hasn’t been much in the area of defense, as Boston has shot 51% in both games. BetAnySports patrons shouldn’t be all that surprised, as they were ranked 20th in the league in defensive efficiency this season. If you recall, in the series against the Chicago Bulls, when Boston came from two games down to sweep the next four, coach Brad Stevens used Gerald Green to make his lineup smaller and quicker. 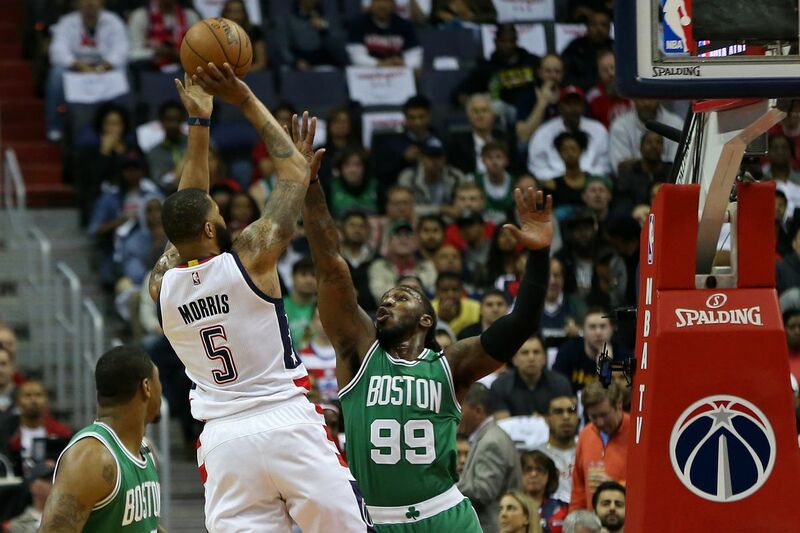 Against the Wizards, Green wasn’t productive, and Amir Johnson, started. But he went only four minutes, and Stevens has used his reserve guards – Marcus Smart and Terry Rozier – to affect the small lineup. Rozier, a 6-1 guard, has pulled down 14 rebounds in the first two games and had a +25 in his plus/minus rating in just 25 minutes of action in Game 2. Compare that with Kelly Oubre, who has not provided much relief off the bench for Washington, with a combined -46 in these two contests. Marcin Gortat is not known as a defensive stopper, but the Wizards have almost no choice but to keep him on the floor, as they had almost no resistance after he fouled out in overtime. Washington shoots a more-than-solid 48% at home, so they probably won’t be seeing a lot of bricking from long distance like they got from Bradley Beal and John Wall in Game 2 (4 of 19 combined), so we like the “over” in this one.